“Larunda’s themes are earth, home and ghosts. Her symbols are stoves or ovens, soil or clay. Lara is one of the Roman Goddesses of earth and the home. 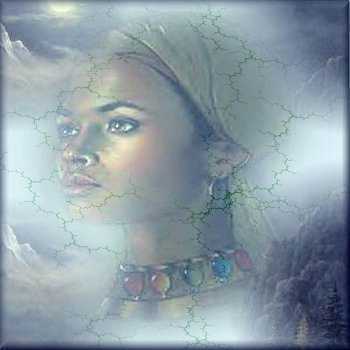 She is also the mother and guardian to ghosts, or lares, who reside in the hearth and protect the family. Traditionally, today is a festival day, Larentalia. This Goddess was already covered on February 18 – as Lara (click on Her name to be directed to that entry). To add to that information that was presented in that entry: “Roman sources mention this Goddess passingly as ‘mother of the dead,’ an underworld Goddess who may have been the same one who granted prosperity as Acca Larentia. She was sometimes called Tacita or Muta (‘deadly silent one’); She was invoked by that name in magical attempts to stop the mouths of detractors, in which women would tie the mouths of dead fish so that gossips would suffer the same fate” (Monaghan, p. 191). Monaghan, Patricia. The New Book of Goddesses and Heroines, “Lara”. Took, Thalia. Thaliatook.com, “Acca Larentia“. Wikipedia, “Mother of the Lares“. “Tenga’s themes are balance, justice, morality and freedom. Her symbols are soil. Among the Mossi of Senegal, Tenga is a potent earth Goddess who presides over all matters of justice and morality. Today She joins our celebration by offering to right wrongs and restore the balance in any area of our life that’s gotten out of kilter. Equal Opportunity Day commemorates Abraham Lincoln’s Gettysburg Address and the liberating energy it created for all people. Tenga had to be pleased by Mr. Lincoln’s efforts, and we should honor both him and this Goddess today by reconsidering any prejudices that cloud the way we look at other people or situations. One way of doing this is through visualization. Hold a handful of soil as you mentally review the last week of your life and the way you handled certain individuals or circumstances. Consider: Did you go into a meeting with negativity, anticipating the worst? Did you overlook an opportunity, or close the door on a relationship because of a bad experience in the past? These are the negative patterns that Tenga helps us to attack and transform with honest candidness (including being honest with yourself about shortcomings). You may not like what She shows you, but the results will be worth it. Now, to me, She bears a striking resemblance to the earth Goddess Asase Yaa of the Ashanti. Sabrina. Goddess A Day, “Tenga“. Everyculture.com, “Mossi – Religion and Expressive Culture“. Kramarae, Cheris & Dale Spender. Routledge International Encyclopedia of Women: Global Women’s Issues and Knowledge, (p. 57). MacK-Williams, Kibibi. Mossi, “Religion” (p. 36). Skinner, Elliott Percival. The Mossi of the Upper Volta: The Political Development of the Sudanese People. “Boru Deak Parudjar’s themes are the harvest, blessings, longevity, courage, opportunity. Her symbols are soil and rice. The Malaysian creatrix and guardian of life, Boru Deak Parudjar grew bored of the upper realms and jumped away from them as soon as an opportunity opened up. It is this type of adventurous spirit and leap of faith that she inspires today. In local legend, Boru Deak Parudjar’s father, Batara Guru (the creator god of Sumatra), sent a bit of soil to the water to await his daughter in the lower worlds. 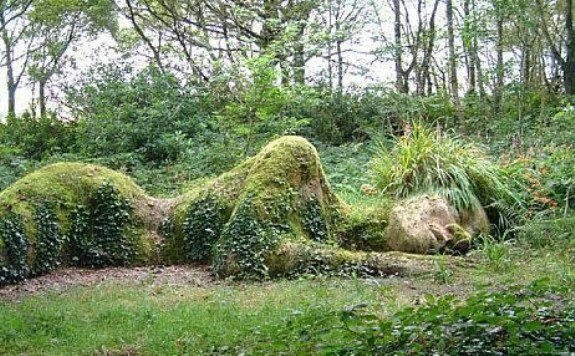 The earth grew to sustain the Goddess. This change in the waters made Naga (a primordial sea serpent) very angry – he wiggled until Boru Deak Parudjar’s earth began to cleave, creating mountains and valleys. Which just goes to show that stirring things up sometimes has a good outcome! Monaghan, Patricia. The Encyclopedia of Goddesses and Heroines, “Si Boru Deak Parujar” (p. 224). Slayford-Wei, Lian. Helium, “The History and Significance of the Goddess: Boru Deak Parudjar“. “Asase Yaa’s themes are death, truth, morality, fertility, and the harvest. Her symbol is soil. In West Africa, Asase Yaa means ‘old woman earth’. As such, She governs the soil’s fertility, and consequently, the harvest. This Goddess represents the earth’s womb, who gives us birth and to whom we all return at death. In life She presides over and motivates truth and virtue; upon death, She cares for and judges our spirits. Thursday is the traditional day for honoring Her in the sacred space. Every two years in April, people in Nigeria honor the spirits of the dead in a special festival called the Awuru Odo Festival that resembles a huge, extended family reunion – which is exactly how we can commemorate Asase Yaa in our own lives. If you can’t assemble with your family because of distance, pull out photographs of loves ones and wrap them in something protective. Lay these down and sprinkle a little rich soil over them so that Asase Yaa’s presence (and, by extension, yours) can be with them this day, no matter where they may be. MXTODIS123. An Inner Journey: The Moon, Mythology, and You, “Asase Yaa“. Moon, Tora. The Goddess Speaks, “Message from Asase Yaa – Goddess of Agriculture and Harvest“. Romero, Frances. TIME Specials, “Top 10 Earth Goddesses“.